For only 5 days in the run up to Christmas we will have a pop up shop in the fantastic Dandy Star emporium at 126 Columbia Road, London E2 7RG. There is late night Christmas shopping on the whole of Columbia Road on Weds 5th December and as an extra treat we will be having an “opening” night on Thurs 6th Dec 6 – 9 pm. Come and say hello! 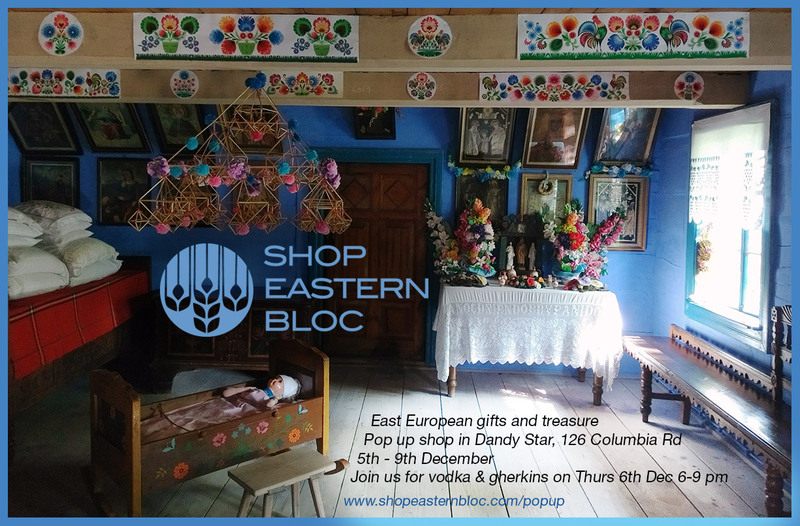 There will be vodka and pickles to whet your East European appetite along with one-off folk art, stunning household goods, textiles and stocking fillers galore… many of which are not available online. Just in time for Christmas!